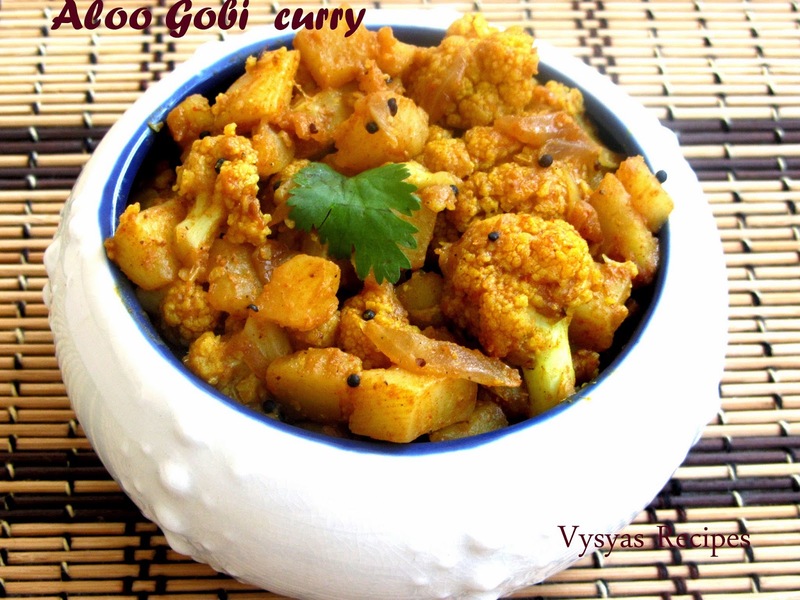 Aloo Gobi curry is a dry curry made with cauliflower and potatoes. it Goes well with chapathi, roti, rice, mild pulao's, and also as a stuffing for sandwitches, dosa's , burrito's and Quesadilla. Cauliflower is a member of the cancer-fighting cruciferous family of vegetables.Cauliflower is anti-inflammatory and antioxidant-rich, and may boost both your heart and brain health.Eating cauliflower will provide your body with impressive amounts of vitamin C, vitamin k, beta-carotene, and much more while supporting healthy digestion and detoxification. potatoes predominantly contain carbohydrates, they are easy to digest and facilitate digestion.Apart from the vitamins (B-complex, C), minerals and roughage, potatoes also contain certain substances called Carotenoids (lutein, zeaxanthin). Carotenoids are beneficial for heart health and the functioning of other internal organs.Now we learn to make healthy and yummy curry. Cauliflower florets - 3 cups (or) medium size cauliflower - 1. Chop the onions lengthwise and keep it aside. Cut the potatoes into cubes and put it in water, to avoid discoloration. Heat the oil, add mustard seeds when it splutters, add cumin seeds, when it sizzles add onions and Ginger garlic paste. Saute till onions turns pink, then add cauliflower florets and cubed potatoes. Saute frequently now and then till veggies are half cooked. Then add all the spice powders and salt. Cook everything in medium flame.Cook it covered,for fast cooking. Saute frequently till veggies are completely cooked . it takes nearly 15 minutes to cook the veggies. Finally Garnish with fresh cilantro. Aloo Gobi curry arumai.ungaludaiya intha recipeyai try pani parkkirane. Yummy looking side dish for roti, love aloo gobi any day. Thank you so much for stopping by my blog and leaving the much needed encouraging comments. Nice combo n healthy too..